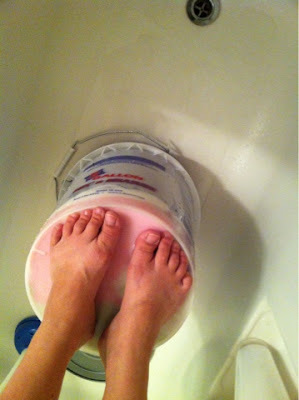 So I've decided that handwashing diapers is actually pretty cathartic. More so the first day than the following, but it has made some nice time for me to be alone. My husband refuses to even enter the bathroom while I'm washing, and since the weather has been wet and cloudy all week anyway, I've been washing after the kids go to bed. Funny how physical labor can become so relaxing. 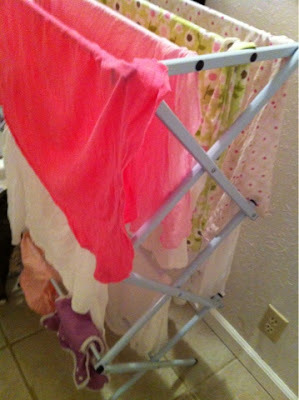 One of my reasons for not using cloth with my son is (aside from the fact it never realistically occurred to me as an option) we didn't have our own washer & dryer. "We couldn't have washed them then anyway." Well, I think I'm proving myself wrong. Handwashing is very doable. We lived in a daylight basement when G was in diapers with a tiny kitchen and a tiny bathroom without a tub. 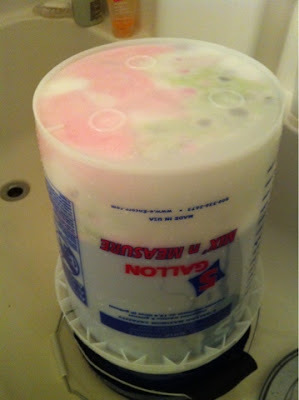 I realize now that I could have used flats and washed them in the sink. WE WOULD HAVE SAVED SO MUCH MONEY! 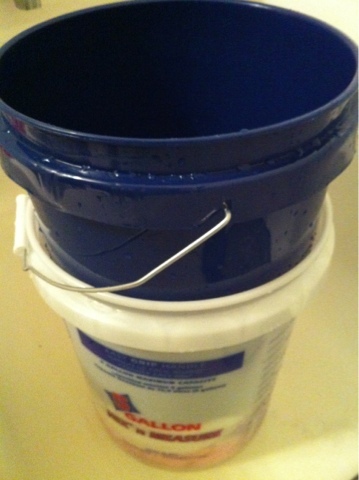 Obviously, the bucket on the left is my camp washer, the blue bucket is for "pre-wringing" the diapers. 1. fill bucket with warm water and a tiny bit of detergent after putting last diaper of the day in, then agitate a little and let soak while I get the kids to bed. 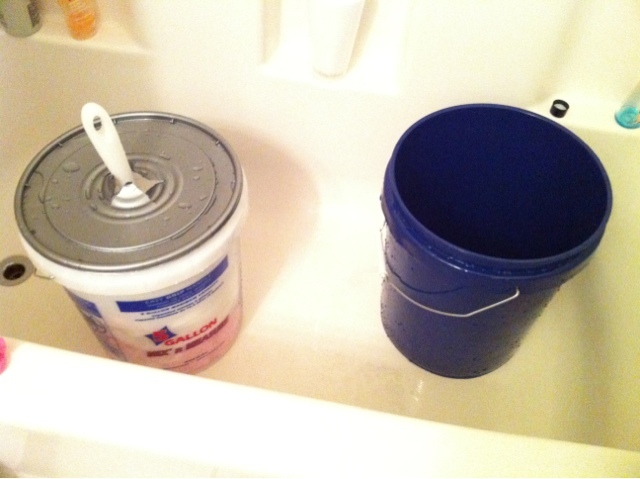 2. drain water, add detergent, fill with HOT water, then agitate for the duration of one song on my playlist. 6. wring flats by hand, roll covers in a towel and press, then hang everything on the drying rack for the night. I'm definitely feeling more accomplished with myself these days. 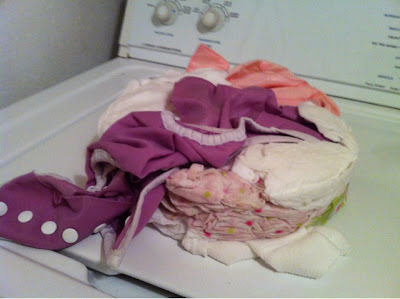 I won't be sad about using my washer and dryer again, but there is something to be said for being able to get diapers so clean with your own two hands. I agree with the relaxing part!!! And don't you just feel so accomplished knowing that you can handwash diapers...we may not choose to, but we know we can! I'm scared for you, creating that pancake diaper! Make sure you're holding on to something while you're up there! My husband was horrified when he peaked his head in and saw what I was doing. I definitely try to be careful when I'm up there!